I'm lucky enough to work from home. You wouldn't be shocked to hear that my home office is set up so that I can see the back patio and pond from the window. I enjoy watching our yard birds everyday however some days are better than others. I learn a lot by watching the behaviors. For instance, I never knew that Robins would eat seed. I observed this a few years ago when one Robin stayed in the yard all winter and ate the seeds under the feeder. 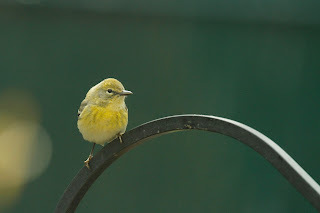 He must have taught his friends about it because there are at least 3 Robins in the yard this week gobbling up the seed. 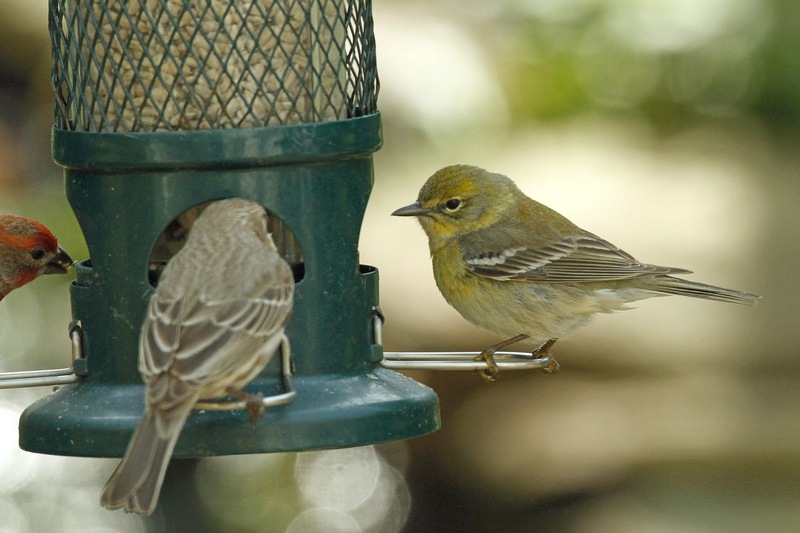 Today's surprise seed eater was a Pine Warbler! He snuck in there with the House Finches. I noticed something more yellow. That's him on the right. The finches would chase him away but he stayed close waiting for an opportunity to get back to the seed. He also took a quick drink in the pond but the photos were terrible. I have to shoot through the window pane which doesn't produce great photos. 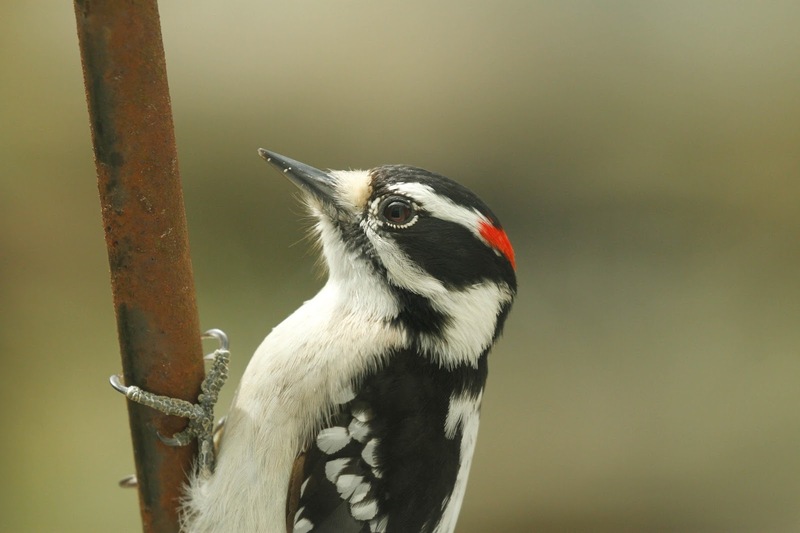 Except when the bird is literally 2 feet away like this Downy Woodpecker. This is not cropped. Yes, I should be working all day but keep in mind that I work through lunch and long hours so I feel OK taking a few minutes to enjoy the birds.